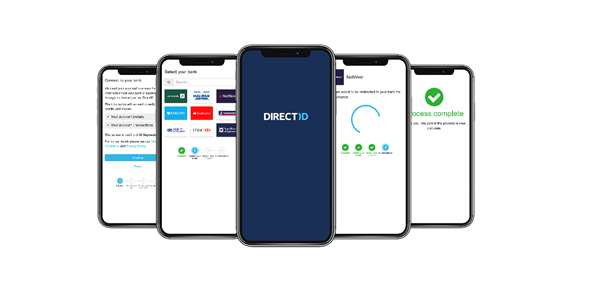 The ID Co. makes products that enables users to safely and securely share their financial data with trusted businesses to facilitate access to a broad range of financial products and tools. The services can be used for everything from presenting simple data for personal finance managers to using the retrieved data to help calculate a customer’s affordability and credit risk. The ID Co., a Scotland-based fintech company is an active participant in the UK Open Banking initiative and a founding member of FDATA, Innovate Finance and Open Banking Excellence. Our business service, DirectID, is aimed primarily at solving the key business pains of offsetting credit risk by verifying account information and helping assess customers’ affordability. It also aims to diminish the friction caused by the challenges of risk, compliance, fraud and regulation in the onboarding of new customers. NoMo is a simple cashflow tracker app that allows the user to connect their bank account and see if they are up or down by comparing their daily historic average against their current sum of funds. It allows users to answer one very simple question: “Do I have more or less money than I did at this time last month”? 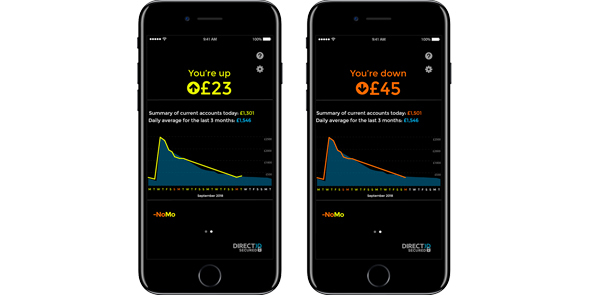 The app seeks to offer users an honest appraisal of income and outgoings, simply, and with a human touch.